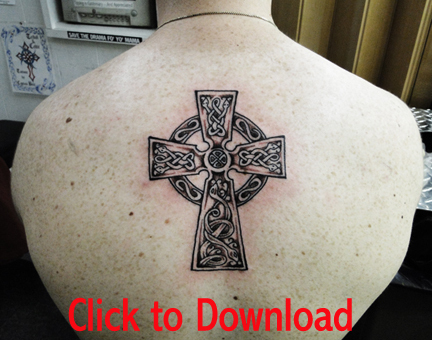 Celtic Cross Tattoo pictures, designs and images. 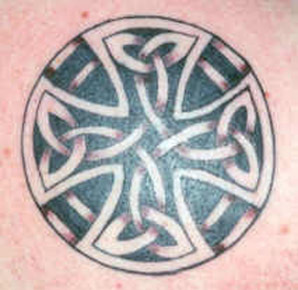 is probably the most widely recognized of all Celtic symbols used in Modern tattooing. 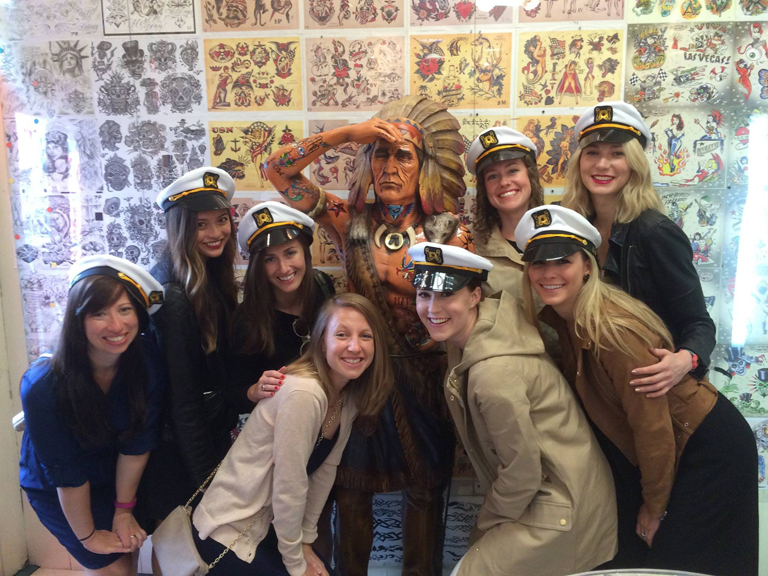 renderings of these ancient design onto the skin as tattoos. 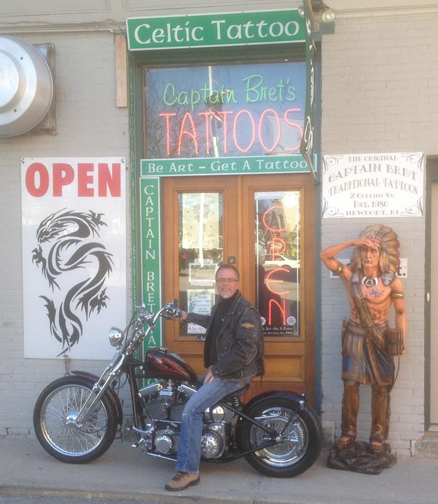 and prevalent in today’s Tattoo community? Explores here a little about this great subject to illuminate you. 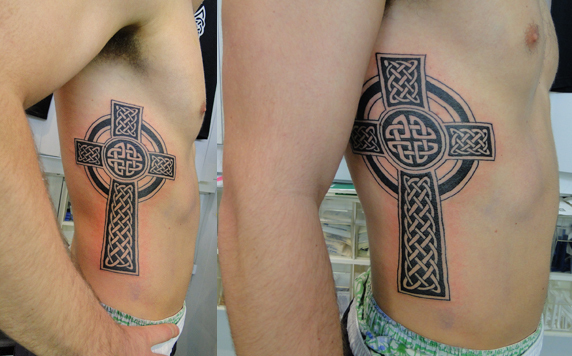 The Celtic Cross is visually a very appealing design shape to the Tattoo enthusiasts eye. 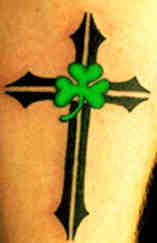 The Celtic Cross has become an unofficial symbol of Celtic Ireland and is often worn as as Celtic Cross Tattoos. 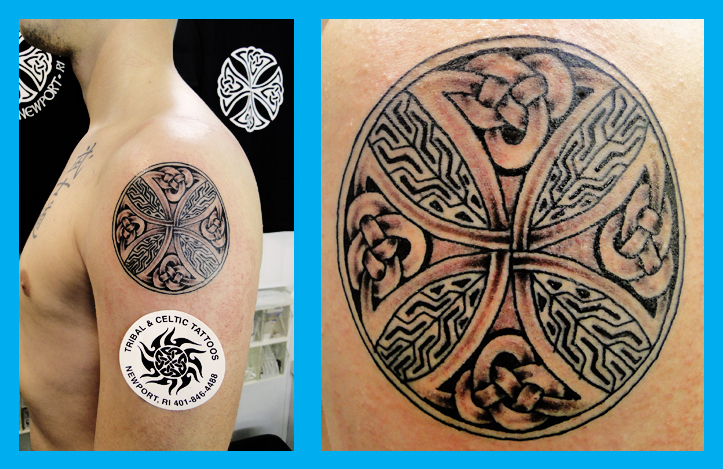 In this way the Celtic artistic heritage has found a new form of expression with modern Celts. Its ancient relevance transcends time onto the flesh of today’s new Tribalism. 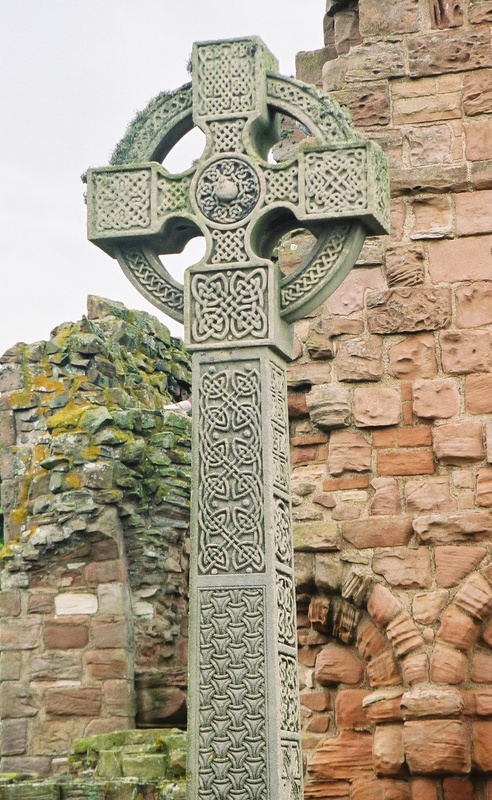 Unlike most crosses that display Christ’s suffering rather vividly, the Celtic Cross, be it plain or highly ornamental is designed and meant to be visually beautiful and pleasing to the eye in its intricacy. It may be interlaced with very elaborate designs and interlacing knot-works or adorned with mythical beasts. Christ depiction on the cross are usually quite simple in contrast to very complex and quite sophisticated ornamental patterns that form the design of most Celtic stylized crosses. 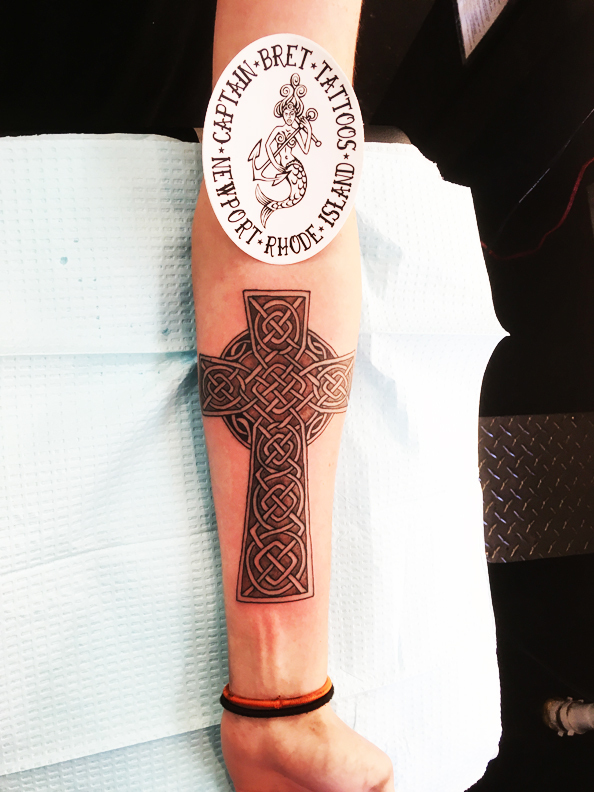 This elaborate ornamentation lends itself inherently to be transferred onto the skin to form the most beautiful and elaborate of all Celtic Tattooing, the Celtic Cross Tattoo! The cross is the most ancient and powerful of symbols, uniting the vertical with the horizontal. The Four Seasons with the Four points of the compass. 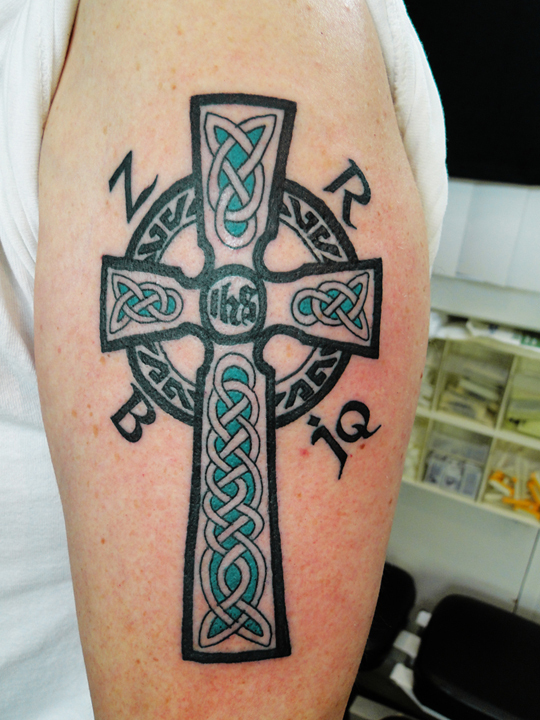 The Celtic Cross is defined by the containing circle, which gives it an infinite dimension. 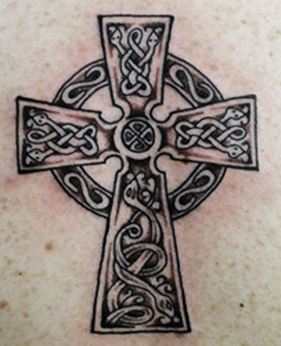 A Celtic cross is a symbol that combines the cross with a ring surrounding the intersection. 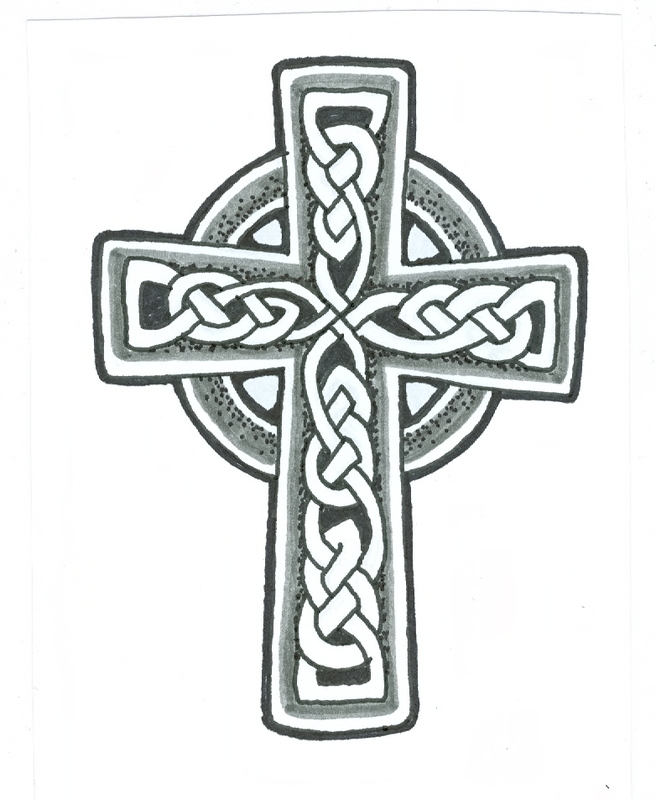 It is the characteristic symbol of Celtic Christianity, though the symbol has older, pre-Christian origins. 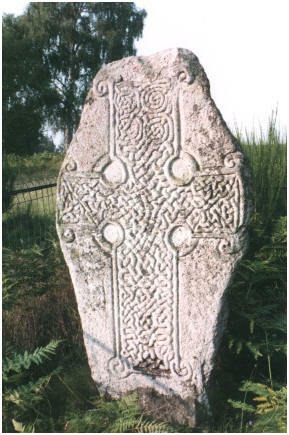 Such crosses formed a major part of Celtic art. 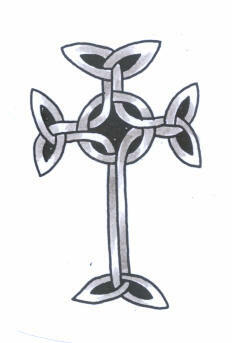 This design is also referred to as the Irish Cross, or as the Cross of Iona. 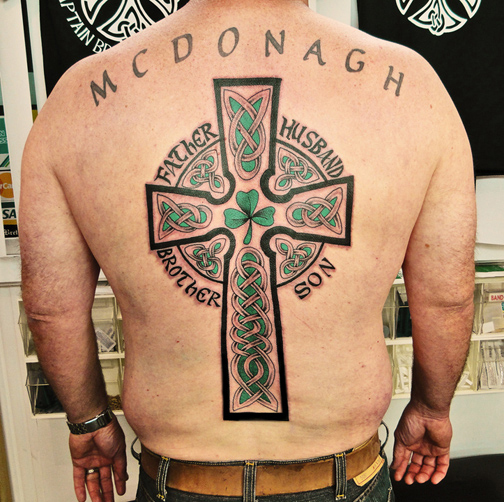 During the Celtic Tattoo Revival new Tattoos in this style were crafted that added a self-conscious message of Celtic heritage to the widely recognized emblem of the Christian faith. The circle is often described as an halo or an eternity symbol, or a blending of the old worship of the sun with the new faith of religion. 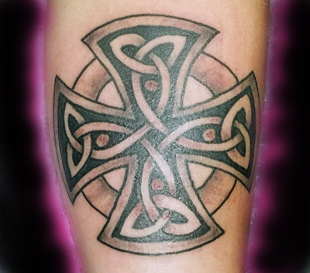 There is a wide range of traditional designs when you look into Celtic cross Tattoos. 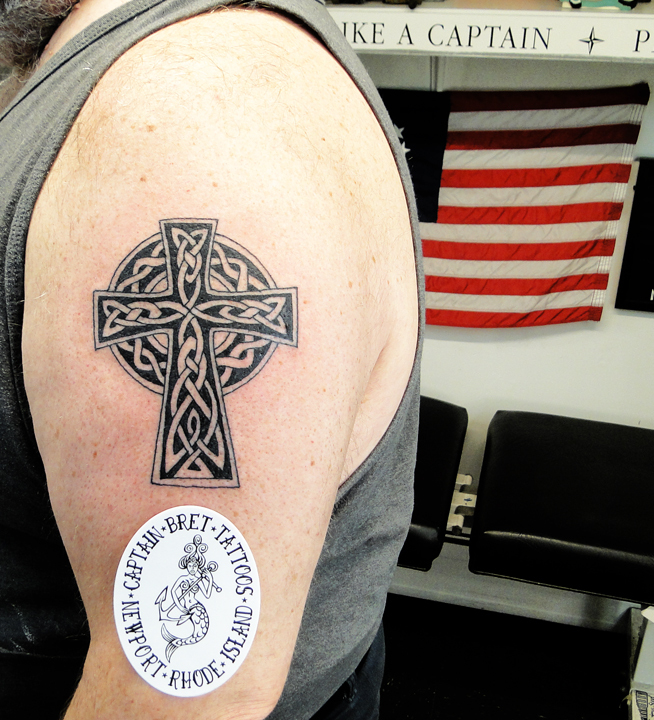 Here at Celtic Tattoo Shop in Newport we have a Huge assortment and collection of custom and traditional Crosses and Celtic crosses, if you want a Celtic cross this is the Tattoo shop to visit. Symbols used in ancient Celtic imagery draw on the powerful forces of nature. Celtic artwork originated from the Celts' magical legends, which recognized the connection of all life forms. 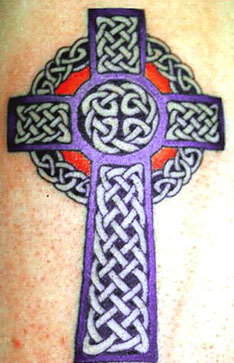 The Celtic cross design shows a cross with a ring around the intersection. 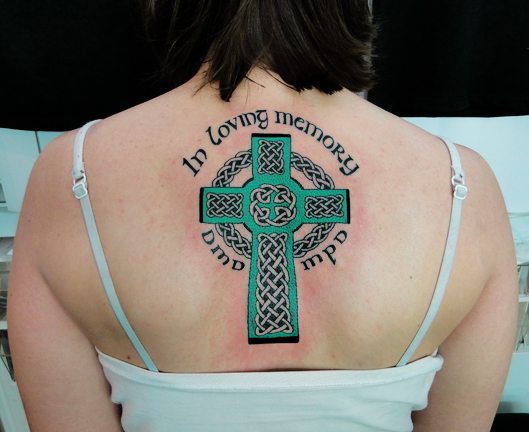 This detailed design is also called the Irish Cross. 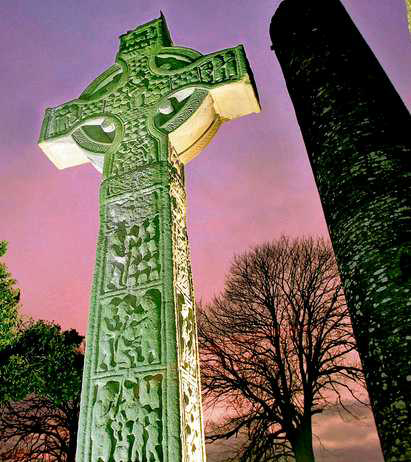 The Celtic cross has existed long before Christianity began sweeping through the ancient British Isles. 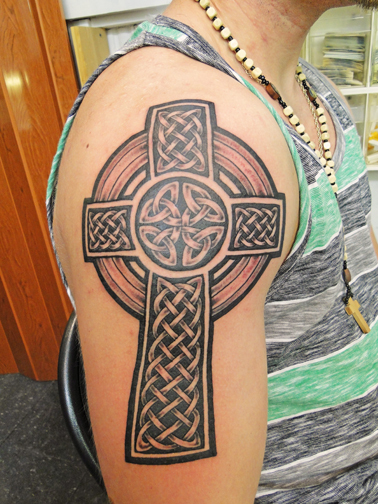 It usually appears as a Christian cross covered in amazing swirling, and interlacing elaborate Celtic knots. 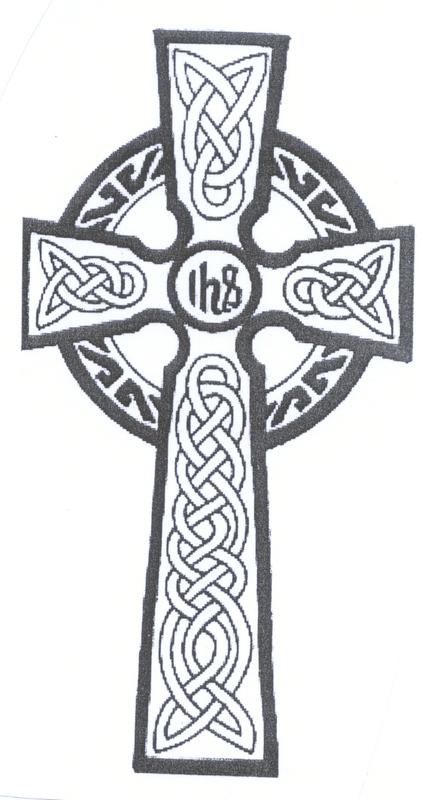 The arms of the cross are connected by a perfect circle, also usually decorated with Celtic knots. 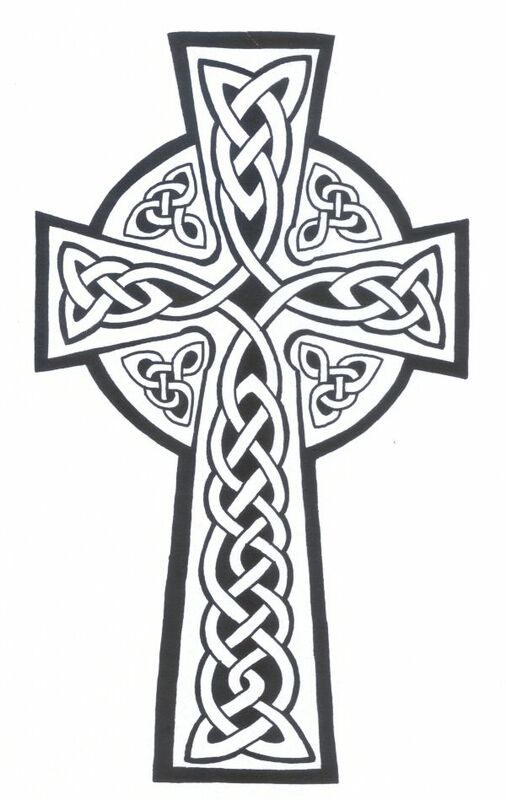 However, the Celtic cross does not just represent Christianity. 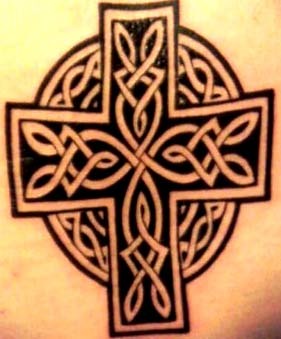 At its pre-Christian origins, the Celtic cross is a combination of Christian and Druidic/Pagan Celtic beliefs, a combination that was both necessary and practical. 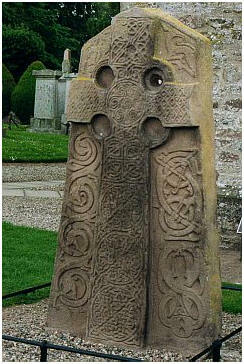 Throughout Ireland and Scotland, the Celts crafted these magnificent symbols in stone. 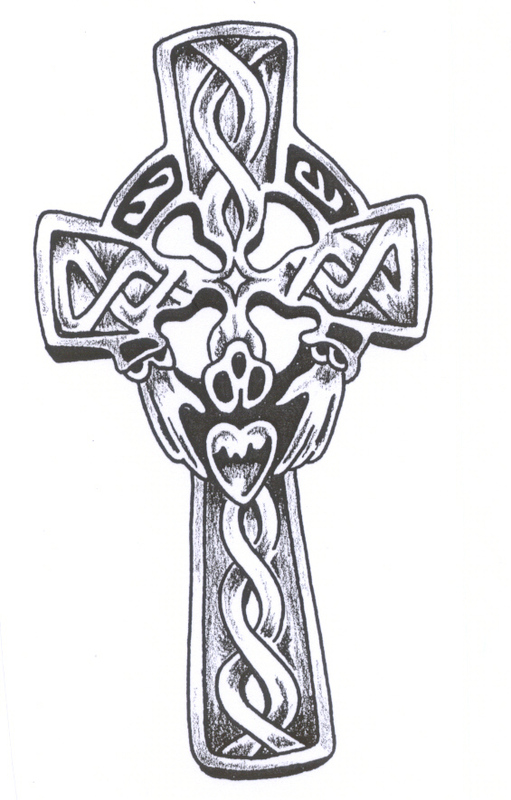 Celtic Crosses predate Christianity and were first used by pagans to worship the sun. 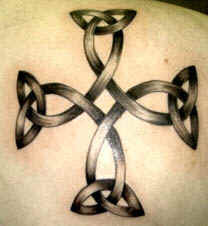 In pagan times the circle of the Celtic Cross represented the sun, being the centre of their lives. 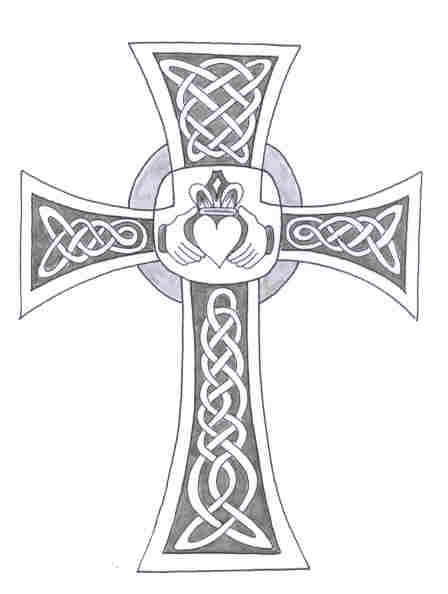 Celtic crosses have a ring surrounding the center of the cross. 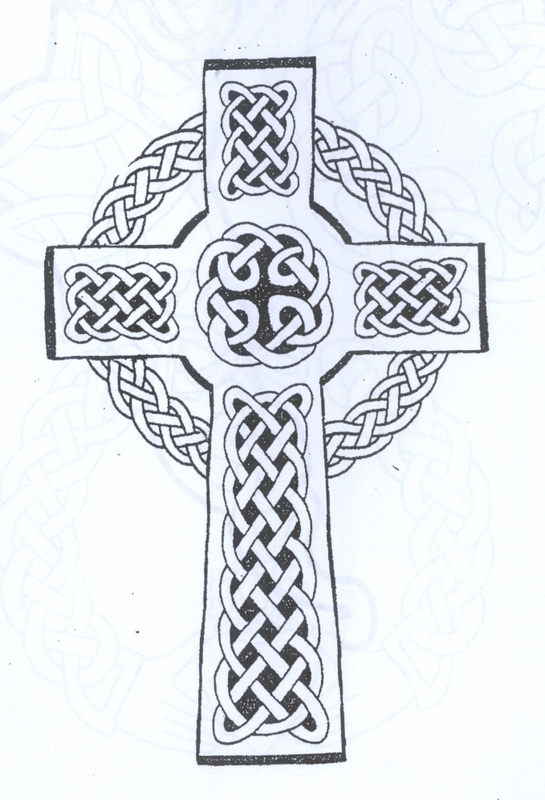 There are a number of theories as to the meaning of the Celtic cross. Some say that they represent Christ’s supremacy over the pagan sun worship. Others, that it is an image of the light of the world and creator of the heavens on the cross, or that it is a conflagration with pagan sun worship showing the sun god on the cross. Another meaning is that it shows the eternal nature of the sacrifice of Christ. The circle is a symbol of eternity, which is still represented in the wedding ring. The most famous legend explaining the Celtic cross's origins has to do with Saint Patrick, an Irish Catholic priest that took it upon himself to convert Celtic Pagans to Christianity. 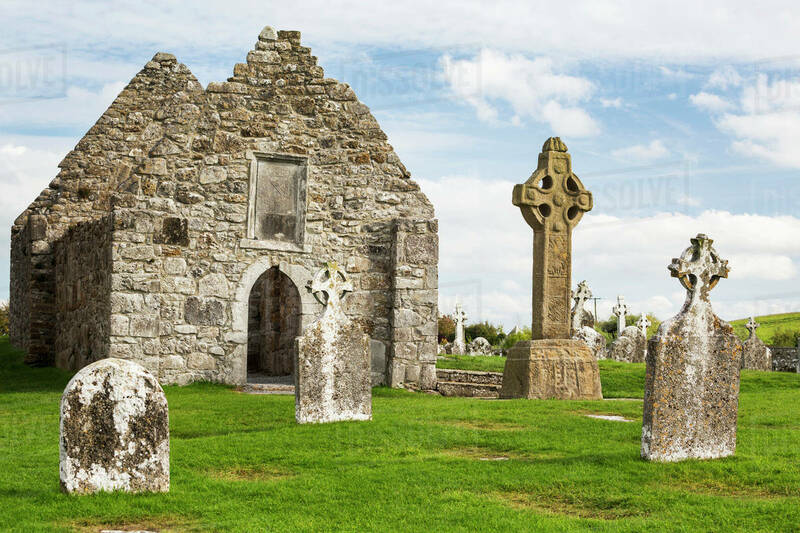 Legend has it that one day while he was preaching to a group of Irish Pagans/Druidic Priests, he drew the Christian cross on a standing stone, then drew a circle around it to represent the Celtic goddess of the moon. This showed the pagans that Saint Patrick was willing to combine and tolerate their faith as long as they were willing to accept Christ as their god and proclaim themselves Christian. The story says that this tactic worked and the symbol of the encircled cross began to take root. 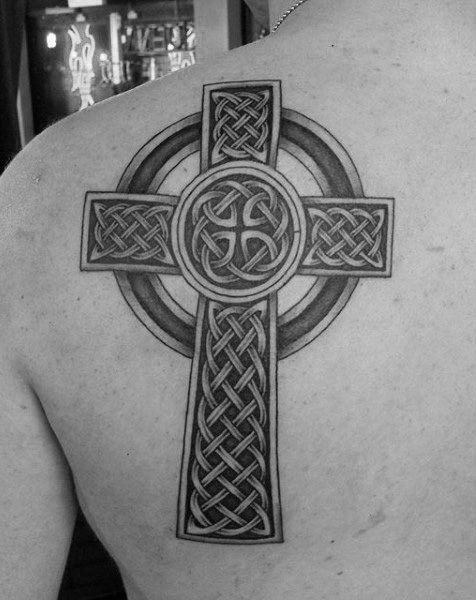 Legends of how the Celtic cross came to be combine both pagan and Christian symbols, many Christians see the circle as a symbol of Christ's eternal love wrapped around the symbol of his sacrifice for his followers. Others believe the circle represents the Halo of light that surrounds the heads of the divine. It may also represent the eternal existence of Christ's promise of salvation and heaven for those that believe in him and his sacrifice. Christian and pagan symbols shift back and forth between belief systems, especially in places where paganism and Christianity co-existed for long periods of time as in the British Isles. 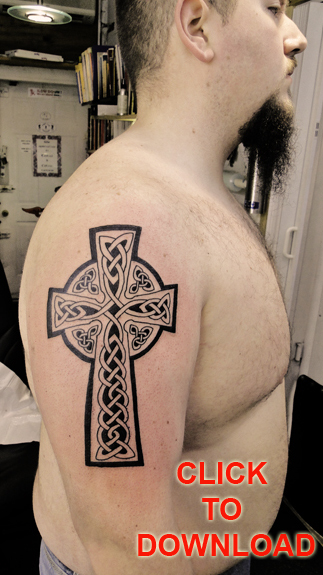 The Celtic cross is no exception. As a pagan symbol, the cross usually sported four arms of equal length that represented the four major elements: earth, air, fire and water. The cross can also be interpeted as the four points of a compass, North, South, East and West. Also they can represent the FOUR SEASONS of the year and may have been used as a calendar to plant crops and observe Pagan fertility ritual dates and seasons. The place where the arms crossed represented the fifth element of spirit. According to Fantasy Ireland, the arms also represented the four sacred parts of human beings: mind, soul heart and body, with the center still representing spirit. 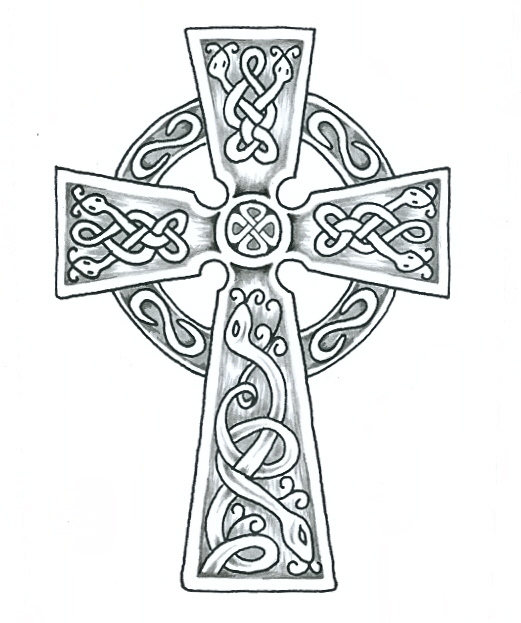 The cross was also a Celtic symbol of protection, believed to block negativity and prevent physical attack. The circle surrounding the cross either represents the moon goddess in her fullest form or the sun god; sometimes it represents both, encompassing the male and female deities of the sky. The cross within the ring has been regarded as a sacred symbol of the Sun since pre-Christian times with examples of the Celtic Cross dating back as far as 5000 years BC. The circle and the cross are both universal symbols in cultures all over the world. 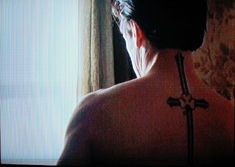 The circle is often used to represent the moon, and the cross often represents the sun. Whether depicted vertically or diagonally, the cross has long been a sacred symbom. It can represent a number of things: the four directions - North, South, East, West, the eternal cycle of the four seasons, the balance and harmony between male and female, and the connection of all things in the Heavens and the Earth. The circle also signifies infinity...with no beginning and no end. The Celtic Druids worshipped both the sun and the moon. In the ancient pagan Celtic world, the circle/wheel represented many sacred things...the life cycle, the cycles of the seasons, the Sun, wholeness, and the energy of the female life force. 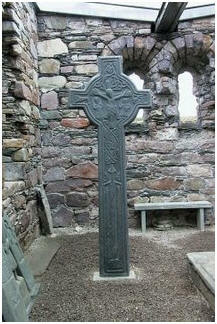 The Celtic cross (Ionic cross) has it's roots in a pre-Christian variation of the Solar cross. Its origins are not known, but it was known to be an early symbol of the sun god Taranis. 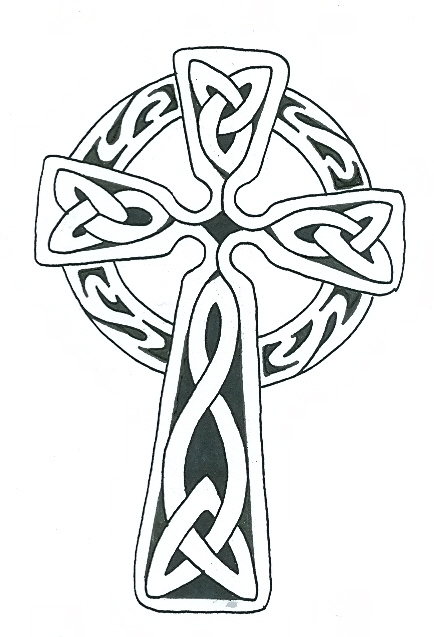 After the conversion of the Celtic people to Christianity, the Celtic Cross became an emblem of the Celtic Christian Church. 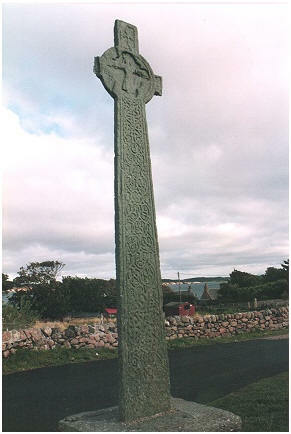 Irish legend holds that the cross was introduced to Ireland by St. Columba, so it is sometimes referred to as Columba's cross, or the Ionic cross, after his monastery on the isle of Iona. The solar cross is probably the most ancient spiritual symbol in the world. It has been familiarly represented in Asian, American, European, and Indian religious art forms since the dawn of history. Formed of a equal armed cross within a circle, it represents the solar calendar—the movements of the sun marked by the solstices. Not only could the Celtic cross mark the four seasons (punctuated by the Celtic fire festivals), but the cross could also delineate day and night. If we consider the horizontal bar of the cross as a literal horizon, the top half would symbolize sunrise, and the lower half sunset. This would be particularly relevant when we see a circle around the cross – we get the sense of the earth as an orb, and the sun rising above her contour (upper 1/2 of semi circle in the cross) and vice versa. But, given the spiritual connotations of the cross, I’m of a mind to denote a rising and setting of consciousness. For example, visualize your divine awareness rising and setting like the sun, with the center of the cross as a focal point for balance. Another very common symbol involves the letters IHS. Sometimes they are interwoven so that they resemble a dollar sign with the inevitable comment about the Catholic Church and its finances. They are in fact the initial letters in Greek for the name of Jesus. When Latin supplanted Greek they came to mean Jesus Hominum Salvator – Jesus Saviour of Men. The crusaders used the symbol sown onto their garments when going into battle with the meaning In Hoc Signo (vinces) – under this sign you will conquer. It can mean In Hac Salus – here there is safety/sanctuary/ salvation; In His Service; I have sinned; I have survived; and even a suggestion linking Catholicism with paganism – Isis, Horus and Set (3 Egyptian Gods). In the same theme are the letters X with a large P going through the intersection. This is often taken to mean pax, the Latin word for peace and sometimes it is even written out as pax. But the meaning again comes from the Greek – x and p are the initial letters for Christ. Just think of the X in Xmas.